Tuscany is a place like no other, it has a magic in it’s rustic beauty that inspires the soul. 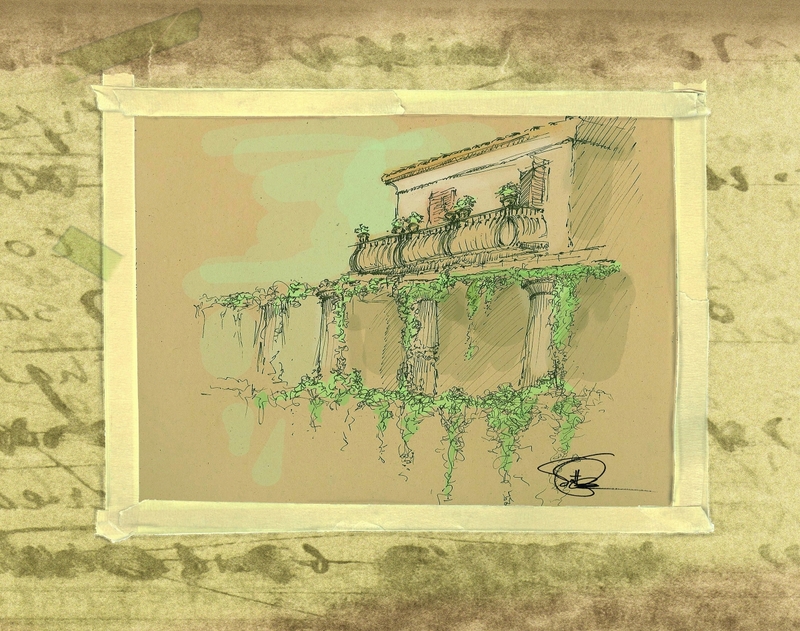 I created this series as a visual journal of the rich timeless villas and countryside. Each of the pieces is framed with journal entries that form a base layer to the drawings, making a depth to the works that brings you into the visceral sense of timeless travel and experience.